Veysel Akçay, a Mongolia-based Turkish educator who has links to Turkey’s Gülen group, has allegedly called on the United Nations High Commissioner for Refugees (UNCHR) for urgent action against an imminent risk of abduction by the Turkish government. 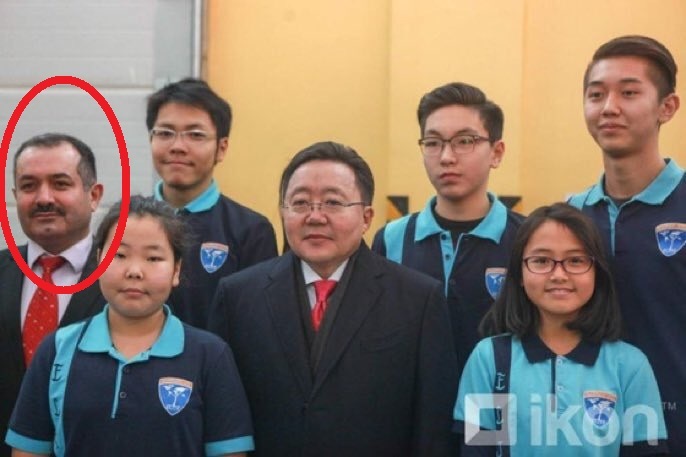 Mr. Akçay, the general director of Turkish schools in Mongolia, was once abducted by the agents of Turkey’s National Intelligence Organisation (MİT) on July 27, 2018, in Ulan Bator. Soon after, a private jet, identıfied by code number TT4010 and reportedly carrying several MİT agents, landed at Chinggis Khaan International Airport. Akçay’s family members recently sent an e-mail to TurkeyPurge editors, claiming that their life is getting more and more difficult in Mongolia every passing day. “Because the Turkish government is forcing Mongolian side to take over the Turkish schools and transfer them to Maarif Foundation, an organization sponsored by the Turkish government. Despite Turkey’s heavy pressure, Mongolian government has so far refused to give in. For the last two years, Mongolia has been visited by many Turkish diplomats regarding the schools and the teachers, Veysel Akcay in particular. Turkish government offered $350.000.000 as compensation. Hakan Cavusoglu, Deputy Prime Minister of Turkey, visited Mongolia to force Mongolian government for the seizure of our schools and deportation of the teachers. In April 2018, Turkish Prime Minister Binali Yildirim came to Mongolia to sign treaties and aggrements between the two countries. During his speech, he told that Turkish and Mongolian Governments were going to cooperate against some Fetö schools in Mongolia. He wanted to link our school with terrorism. All these developments deeply affected Mr Veysel Akcay’s position in Mongolia. His sorrow was doubled when he learned that he and ten of the Turkish teachers were banned to go outside from the Mongolia before his visiting to Germany. He tried his best to find out the reason but nobody gave him a reasonable reason. His ban was legislated by Ulaanbaatar Prosecutors. He was being accused of supporting and managing terrorism link to the coup attempt. He was not in Turkey during the coup attempt and he and his friends are innocent. The file coming from Turkey was no evidence so his and his friends ban was released. Empathy Schools were sold the German Education Company called EWA and Josef Funke became the General Director of the Schools. On 27th July at 9:30, he was going to school and he was kidnapped by some unidentifiable people. When he was brought to the car, he screamed and a man recorded a video then showed the police. At 2 p.m a private plane arrived to Chingis Khan Ulaanbaatar Airport which is the same plane used to kidnap some Turkish teachers from Kazakhistan. The plane belongs to Turkish Government and his friends and lovers went to airport to stop his kidnapping. His event was heard all over the world and his deportation was stopped by his lovers big efforts. The people who wanted to kidnap him brought back him near his home again. After the action, he has been guarded by the Mongolian polices until 27th August. However, He is the victim of this event and Mongolian government and politics does nothing to enlighten the action. Even they have not been trying to find the kidnappers. In contrast to that he was banned to go out from Mongolia. It is clear that he is behaved as captive and wanted to be deported to Turkey where he will be imprisoned and tortured. His ban must immediately released and he must be free,” the Akçay family said.